Flowers are in bloom, so grab your camera! With spring transitioning into summer, many flowers are in bloom, with many more on the way. Whether your home is surrounded by flowers, you live near a botanical garden, or maybe you live in an apartment and don’t have room to grow flowers, but love to have a fresh bouquet on your table, there are plenty of opportunities to photograph flowers. 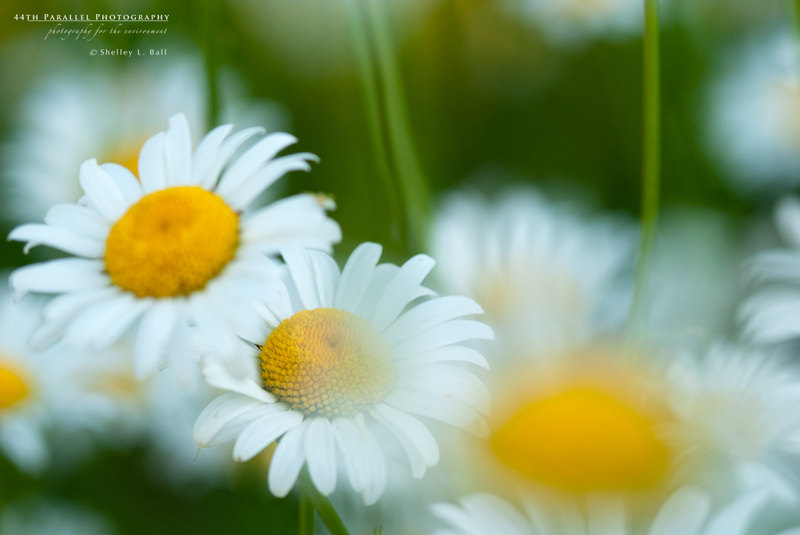 There are a variety of approaches and techniques for flower photography – portraits, macros, abstracts and other creative methods for making stunning flower images that you’ll want to hang on your wall. Flowers: fine art photography techniques and tips is an e-book jam-packed with easy to follow instructions, lots of example images with descriptions on how they were made, and loaded with inspiration so that you can learn how to shoot your own fine art flower photos. Flowers: fine art photography techniques and tips is all about fine art flower photography. It’s a guide that shows you how to create your own beautiful fine art flower images that you’ll want to hang on your wall. Through descriptions of techniques, equipment, and creative approaches, I describe easy to follow instructions on how to create your own beautiful images. I also present many examples showing how I’ve applied these techniques and approaches in making each image shown in the book. Available as a downloadable pdf e-book that can be read on any device that is capable of reading pdf files (e.g. iPad, Android tablet, Kindle, laptop and desktop computers, etc. 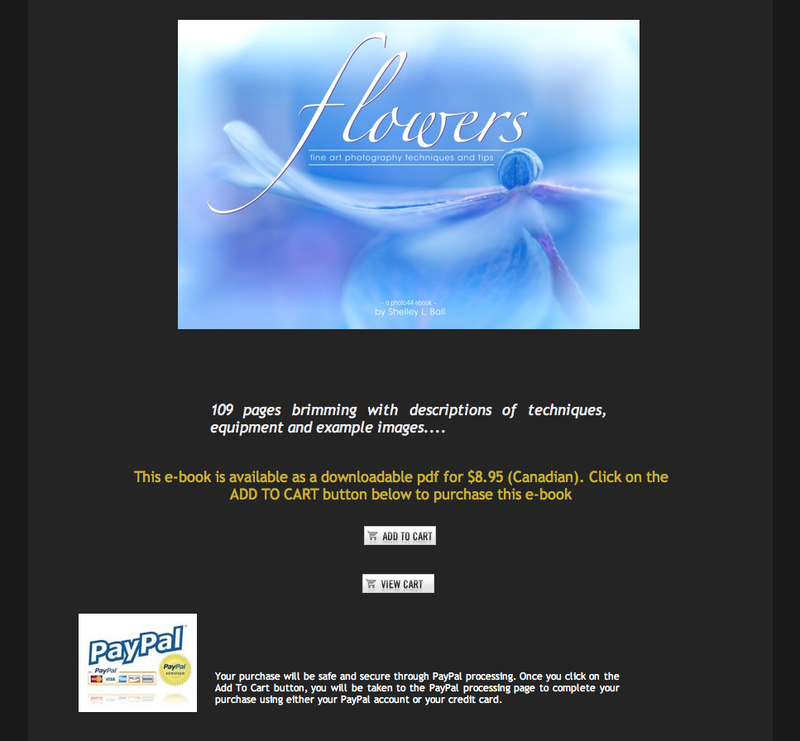 ), Flowers: fine art photography techniques and tips is a full-colour 109 page e-book available for $8.95. You can purchase Flowers: fine art photography techniques and tips from my website by clicking HERE or by clicking on the thumbnail below, which will take you to a secure shopping cart for your purchase. To order a copy of Flowers: fine art photography techniques and tips, please click on the thumbnail above. Flowers: fine art photography techniques and tips is also available for purchase through the Earth & Light Digital Media website, along with other fantastic photography e-books. Click on the link below to visit Earth & Light Digital Media. I’m just back from Algonquin Provincial Park. I made a really brief trip up there (30 hour round trip) to photograph moose. Late spring and mid fall are the best times to see them in the park. I was disappointed. In less that 24 hours I saw 11 moose and I photographed 5 of them. Some are wary and won’t stay around long enough to get a good photo. But others are very tolerant and as long as you keep your distance and respect their space, they will happily graze while you snap away. I can’t wait to get back up to Algonquin for more wildlife photography. I’ll definitely be back in the fall for more moose photography. Click on the thumbnail below to visit 44th Parallel Photography’s Photo of the Week. 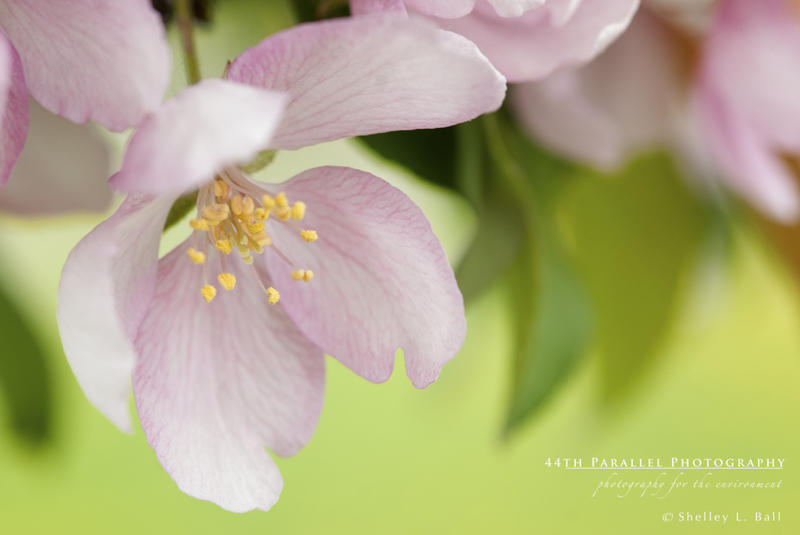 44th Parallel Photography’s Photo of the Week is out – a bit late, but worth the wait. This week’s photo is a really special one, for a variety of reasons. Find out why by clicking on the thumbnail below to see and read about this week’s Photo of the Week. This follower’s comment made the think of the photography resources I follow on the internet. There’s a ton of stuff out there and for me, the key is to limit my regular ‘surfing’ to the things I get the most out of or enjoy the most. I wish I had more time because the internet is packed with fabulous resources for photographers. But reality means I only have so much time in a given week to surf for all things photographic. And so, as an answer to my wonderful followers question, I’ve decided to list the top 15 websites, blogs and other resources I follow. There are lots of others that I follow, some not-so-regularly, but I’m going to limit this to 15 sites – a three part series with 5 sites listed in each post. This way, you won’t have a honking big blog post to read and you’ll have a chance to visit each of the 5 sites and have a look before the next ones come out. And I’ve tried to keep the descriptions really short and just highlight some of the things I like about the site. The best thing is for you to click on the links and see them for yourselves. So I hope this helps my kind follower and provides him/her with some great resources to check out. And for everyone else reading this post, maybe some of these will be new to you and offer some great new things to follow. One of my all-time favourite photographers is Jim Brandenburg. He’s been around for a long time, makes incredible images, and has such a connection and passion for nature that I can’t help but like him. His images are stunning. Many of them stir the soul and communicate the deep love of nature that he feels. Check out Jim’s website. His gallery is full of soul-stirring, inspiring images. You’ll also see Jim’s passion for conservation – he has his own charitable foundation for the preservation of native prairie habitat in southwest Minnesota. Jim also has a blog. He doesn’t post frequently, but what he does post is fun reading. I especially liked his posts about the new Nikon D800 camera that Nikon asked him to review prior to its release. I did my own blog posts on his review, which you can find by clicking HERE. I can’t let this opportunity pass without mentioning Jim’s iPad app. Definitely check it out! I have it and love it. It’s inspired me to make my own app (it’s in the works…). Click HERE to read my review of Chased By The Light. Here is another master. Like Jim Brandenburg, he’s been around for a long time, but this is why he’s a master at what he does. Art’s images are nothing short of stunning. I love tuning into his blog because it’s always packed with images – some from his adventures, some from the workshops he teaches. He also announces photography contests, print sales and a host of other things. If you haven’t seen this magazine, you definitely need to take a look! It’s a Canadian photography magazine – packed with tons of great info such as gear reviews, latest news in the photo world, photo tutorials, and a some online photo challenges where you can submit images. I just like this as a good, all-rounds newsy photo mag. You can subscribe to the magazine for FREE. To subscribe to the online version (saves on trees), all you need to do is type in your email address. Highly recommend you bookmark this site and sign up for the free online version of the magazine. Click HERE to visit the PhotoNews website. I almost feel like I don’t even need to write anything about this – NG speaks for itself. What I will say is that their site is more than a collection of stunning photos – candy for the brain! I love the video tutorials they have on their site. They are free and offer some great information from the masters themselves. I could easily spend have a day perusing NG’s photo site…..Click HERE to visit the NG Photo website. Outdoor Photographer magazine has a great blog that I tune into. The blog posts are written by well-known photogs who know their craft well – folks like Jay Goodrich, Ian Plant, Jon Cornforth, and Michael Clark. Some of the posts are instructional ones describing a certain technique such as sharpening your images in Photoshop, others are about a photo shoot at a specific location, while in other posts, they present an image and talk about what they did to make that shot. Their blog posts are short and sweet and well worth tuning into. Click HERE to visit OP’s blog. TO BE CONTINUED…… the next 5 are coming soon! Earth & Light is a fabulous new website dedicated to selling digital media resources for photographers. The site has just been launched by acclaimed nature and travel photographer and writer, Richard Bernabe. Earth & Light has only just been launched but already has 9 photography e-books for sale, with tons more coming! … to those focused on specific subjects, such as my flower photography book and Justin Reznick’s book on photographing waterfalls and streams. There are also books focused on specific locations, such as Richard Bernabe’s books about Iceland, the Great Smokey Mountains, and South Carolina. All books are very well-priced at under $10 U.S. and are great value for the money. Earth & Light isn’t just about photography e-books, it’s about a variety of digital media resources for photographers. The site has only just been launched, but coming soon are apps, videos, screen savers and tutorials. So check back frequently because a lot of fantastic new products will be added! I’ll be posting regular updates on the latest additions for sale on the website so check back here regularly. You can also keep on top of what’s new at Earth & Light by tuning in to Richard Bernabe’ blog. We hope you’ll stop by Earth & Light for a look. It’s a great one-stop-shop for digital media resources for photographers. 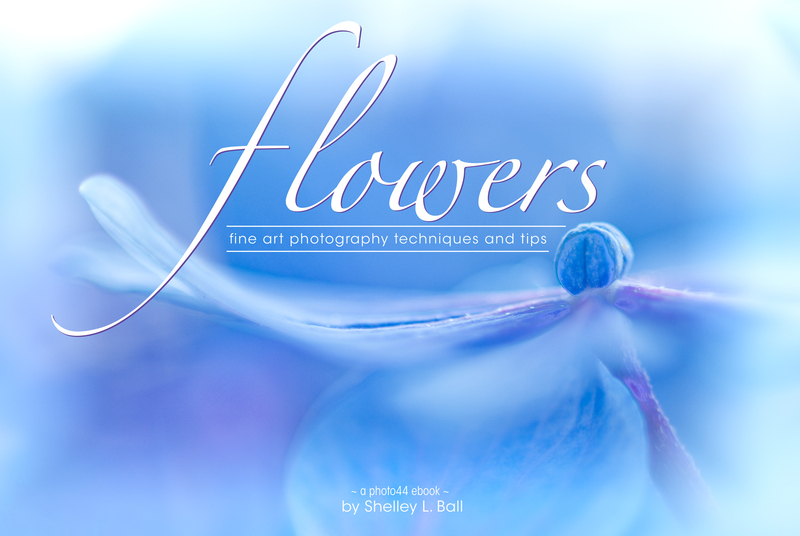 I’m happy to say that my e-book, “Flowers: fine art photography techniques and tips“, has a new cover! It’s the same great book, but with a zoomier cover. And, not only is it available for purchase on my 44th Parallel Photography website, but it is now available through the fabulous new Earth & Light digital media website. The new cover for my e-book.